We’ll start off with the thing that most of you are probably interested in. I have one signed advance copy of Shadow of Nightby Deborah Harkness. My Penguin rep, Betty, is super awesome and got me a few copies to giveaway. I’ve got one for this blog and two that we’re giving away over on the Little Professor Facebook page. To get a chance to win leave a comment on this post. Winners will be chosen on May 13. Now that that’s out of the way, on with the reviews. So, this is a book I’d had for several months, but just never gotten around to. I think I bought it because someone said “steampunk romance” to me and I was sold. So I ordered it from the store and then it came. And the cover looked like that. Which, is… what it is. I’m not sure why he’s wearing a leather jacket with pleated sleeves and no shirt, but he is. And then there are some gears and an airship so it’s totally steampunk! Or something. I put it on my ‘to read eventually’ pile and forgot about it. Then, I joined a book club. A book club for grown up (mostly) ladies. In point of fact, the Vaginal Fantasy Book Club. Which specializes in sci-fi/fantasy romance novels. It was started a few months ago by Felicia Day, Bonnie Burton, Veronica Belmont, and Kiala Kazabee. This was the book club read for April. And it was way better than the cover made it look. To be honest, I didn’t absolutely love the romance parts. They were ok, but nothing super special. But the world building… The world building! So, as far as I can figure out (because unlike Tolkien, Meljean Brook does not give you the entire history of every bridge the protagonists cross) at some point far in the past the Mongol empire started to figure out technology. They swept across Europe and took over some cities and harvested the rest. They developed nanobots that they infected their subjects with. One type reacted to signal towers and suppressed emotion, sped healing, and increased strength. The other type of bots created zombies. The Hoard, as the Mongols are known as, released the zombie bugs into regions that were not worth settling. The zombies clean out resistance and the Hoard’s harvesting machines can come in unmolested. England had remained immune to the ravages of the Hoard. The zombies cannot cross water on their own and the Hoard itself had no navy to speak of. Then they got clever. They infected sugar and tea imports with the nanobots and once the English population was sufficiently infected the Hoard turned on a signal tower and took over. The events in the book are set approximately 200 years after the invasion. England is once more free of Hoard control. Rhys Trahearn, once a pirate, sailed up the Thames and destroyed the tower, freeing the English from Hoard rule. For that service he was made a duke. Several years later, someone drops a dead body on his doorstep. Detective Inspector Mina Wentworth is called in to investigate. She is competent, efficient, and intelligent. She is also half Hoard. Her mixed blood create an almost intolerable environment as she faces hatred and resentment for her mixed parentage. The romance proceeds about as you’d expect. She’s resistant because she has to keep to significantly stricter standards than the average citizen, even than the average aristocrat. He is insistent and slightly unscrupulous. There are a few twists and turns along the way. Predominantly toward the end of the book where you least expect the romantic element to change. So full marks for that. There’s nothing wrong with the romance, it just wasn’t the most compelling part of the story for me. The actual murder investigation is fairly awesome. Partly because there’s a female pirate captain. And I love lady pirate captains. I even have a shirt with one. The side characters are all fairly interesting as well. The pirate captain has her own book,Heart of Steel, which I have also read and will review in the next blog post. I debated making these two books one entry, but in the end, I decided that they were written separately so that’s how I would count them. Really, they’re serial novellas. They’re both fairly short, I don’t have an exact page count since I read them on an e-reader. Which is another whole topic. So, I was somewhere with lots of time to kill. So I read this book. I think it was actually on my phone rather than my iPad come to think of it. The basic story is that Lady Claire Trevelyan, an atypical debutante, is about to make her debut. However, before she can her father loses most of their assets in an ill advised investment in the internal combustion engine. Unable to bear the shame, he departs this mortal coil leaving his wife, almost grown daughter, and infant son behind to deal with the fallout. The dowager countess takes the new Lord St. Ives to their country estate leaving Claire to close up the town residence and see to its sale. Circumstances, and angry investors, intervene and Clair soon finds herself out of a home and unwilling to return to her mother. She instead, ends up taking a job as the assistant to a scientist named Andrew Malvern. She also, through no fault of her own, ends up living with a gang of pickpockets, taking over a rival gang, and setting herself up as a power in London’s underground. 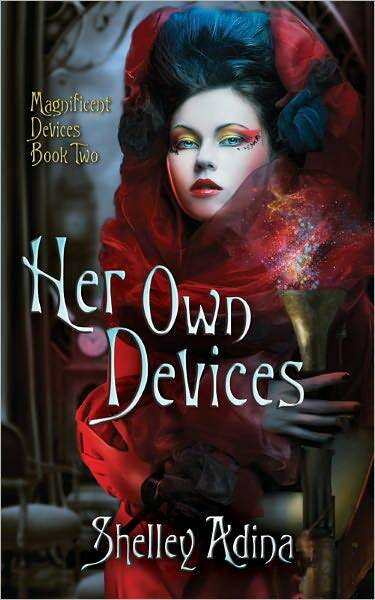 Book 2, Her Own Devices, continues Clair’s balancing act between her day job as an inventor’s assistant and working aristocrat, and her night job as the mysterious Lady of Devices, underworld power. In order to stay in town and out of her mother’s reach, Claire agrees to an engagement with Lord James, the financial backer behind Andrew’s project. She soon feels unsatisfied with the arrangement. James is not at all happy that Claire has a mind of her own, despite that being his stated reason for wanting to marry her. Shenanigans are afoot in steam-powered Victorian London. The two books are fairly well written. There are some places where the writing feels a little clunky, but nothing major. My biggest problem is that book 1 especially seems to stop rather abruptly. It felt very much like reading an installment of a serial rather than a finished product. Now, there’s nothing wrong with a serial. It’s just odd to expect one thing and get another. Book 3 is supposed to be out sometime this year. I’ll definitely pick it up. Remember, to enter the Shadow of Night giveaway all you have to do is leave a comment on this post. You’ve got two weeks. I would love the chance to win a copy of Shadow of Night. I loved DOW and cannot wait for SoN! Oh let me win The Shadow of the Night! I discovered Deborah Harkness when I went away for a weekend in Oxford, where Discovery of Witches is set – I loved it and have been desperate to read the next bit ever since. Ooo lovely necklace BTW! Cool necklace! Always looking for new boom recommendations, and a chance to win Shadow of Night is definitely a plus! Oh, I’d love to win the copy of “Shadow of Night” – I’m so pumped about the series. I think I’ve reread the first four times since it came out last year!. I picked up “The Iron Duke” last year and agree entirely on the wince-worthiness of the cover. That was off-putting as a reader but the world-building more than made up for that. Enjoyed reading your reviews despite largely being lured here for the Shadow of Night giveaway! Your jewelry looks lovely and your choice of books to review is excellent. loved A Discovery of Witches, can’t wait for Shadow of Night! Wow this is such an amazing giveaway! I’ve been wanting a copy of Shadow of Night (with a bit of desperation I might add haha) ever since I’ve heard of it’s making- thanks so very much for sharing!! Am a HUGE fan of the All Souls Trilogy. Who needs two weeks? Please add me into the pot o’names: Mary Ross: maryhollis@earthlink.net. Thanks! I love love love Deb Harkness’ work! I would LOVE to win a copy of Shadow of Night! A Tweet from Harkness led me here. She really hit a nerve with A Discovery of Witches. I know women who would normally never pick up a book about witches, vampires, and demons who loved it. Myself included, but then I do read books about vampires…. Thanks for hosting the giveaway! Lovely necklace! Would love to get a copy of Shadows!!! I’m excited! Haven’t found anything else satisfying to read since I finished reading A Discovery of Witches. Would love of copy of Shadows ASAP! Haven’t found anything satisfying to read since I finished A Discovery of Witches. Would love to get my hands on a copy of Shadows ASAP! I am impatiently waiting for the release of Shadow of Night and would love a chance to win. P.S. Love the name for the book club. I am so impatiently waiting for the release of Shadow and would love a chance to win a copy. P.S. Love the name of the book club. Would LOVE to win the copy of SoN!! Dying to get my hands on Shadow of Night ARC, I’m following any post Deborah Harkness notes on Twitter. But I’ll definitely check out the other novels you posted about. Gotta say any book that has a bare chest wrapped in leather has grabbed my attention! Can’t wait to get my hands on a Shadow of Night ARC, I’m going to whatever website Deborah Harkness tweets about. But I will definitely check out the other books you wrote about. 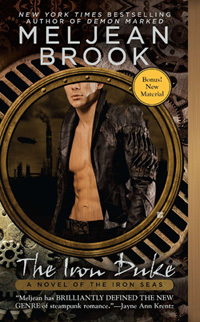 Any book that has a nice naked chest wrapped in leather on its cover is definitely a book worth looking at. LOve the jewelry! And I would love an advance copy if Shadow of Night! Reading A Discovery of Witches for the second time. I love it so much. I can’t wait to read the next book. i would absolutely love to have an advanced copy!! i cant wait for the next book! When I finished A Discovery of Witches last year I was so disappointed that I had to wait until 2012 for Shadow of Night. I would love to win it! I have read ADOW at least 5 times since January. I would absolutely LOVE an opportunity to get my hands on Shadow on Night! Steampunk romance with a mystery as a genre – that could work for me. I have also liked time travel science fiction. 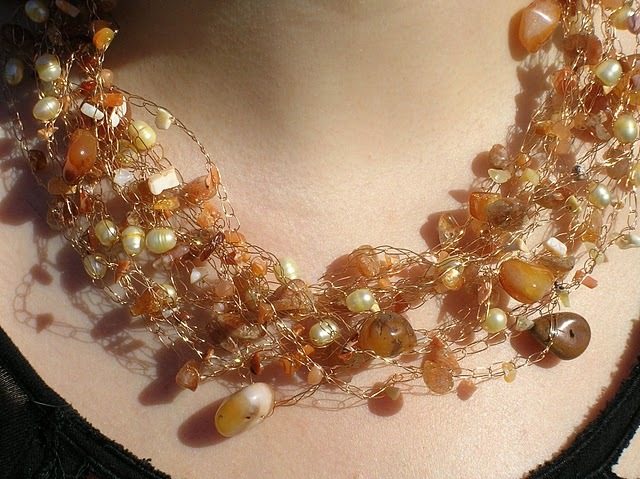 Any I adore any special jewelry associated with favorite characters in books. I like books with sequels. Hence my interest in the second book in Deborah Harkness’ series. Please include me in the drawing for the advance readers copy! Thanks. After my first comment, I read more of your blog. I am glad I discovered it! My “to read” stack has just grown immensely! Another comment to add about Discovery of Witches – it was wonderfully narrated on audiobook. An audiobook is a terrific way to savor the detail Harkness includes in her book. Looking forward to the second book & am already concerned about the wait for the Third. Steampunk is something that seems to be in the Zeitgeist at the moment, think I need to investigate! Reviews well executed, honest and enticing. Thanks. Would love the chance for an early read of Shadow of the Night! I would love a copy of Shadow of Night so I can finally make sense of the author’s playlist for the book on Spotify: http://deborahharkness.com/shadow-of-night/music-that-inspire-shadow-of-night/ Pretty please? Thank you! Dying to get my hands on a copy of Shadow of Night! I’ve been going through major withdrawal since I finished A Discovery of Witches! Thanks for the review of The Iron Duke, I couldn’t get past the cover but now I’ll have to give it a try! 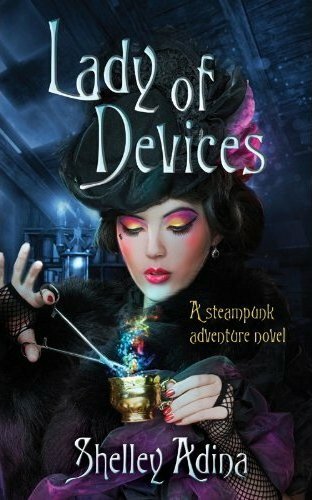 I really enjoyed Lady of Devices, but the ending WAS abrupt and turned me off of reading the second. Guess maybe I’ll get around to it eventually too. I would love to read this!!! Thank you thank you for the chance!!!! I would love to win that copy of Shadow of Night!!! I love steam punk romance. I will check out your recommendations. Enjoyed your review of the iron duke. Appears to be something I would enjoy reading. I would love to read your moral view on ebooks and amazon sometime. I absolutely have an opinion on the amazon/ebook situation. I keep almost writing it up and then deleting it. I’ll probably take my swing at it soon though. I too would love a chance to Win SoN. Discovery of Witches was my fav of 2011 and have been counting down the days till book 2 is released! I can not wait for Shadow of Night! I completely fell in love with a Discovery of Witches!!! The book release can not come soon enough!!!! I loved Discovery of Witches and can’t wait for Shadow of Night! Hope I’m not too late. I could’ve sworn I entered this last night but I don’t see my comment. ADOW reading it again. Need second book!